This year marks the 45th Anniversary of the launch of the Credor brand and the 50th Anniversary of the ultra thin 6800 series caliber. The commemorate these events Credor announces a new limited edition hand engraved pocket watch. The Credor brand was created in 1974 but when initially launched it did not have the same branding that we have come to recognize today. When launched it was a collection of models and not a standalone brand, there was a different spelling and it was a number of years before the name Credor and the distinctive “mountain” logo were introduced. This is a summary of the introduction of the branding and how the Credor range was presented in the first few years. I have added a new book to the official company publications section. This is the "Golden Top Credor Story". This publication was released by Seiko Corporation in 1999 to celebrate the 25th Anniversary of the founding of the Credor brand. The details for this volume can be found HERE. During a recent trip to Japan I was lucky enough to have the opportunity to visit the SII (Seiko Instruments Inc.) Morioka factory where mechanical Grand Seiko and Credor watches are produced. I had visited the factory around a year earlier but this time I was able to view some different parts of the facility. In February 2016 I was lucky enough to be able to receive a tour of the SII Morioka facility that includes the Shizuku-ishi Watch Studio where mechanical Grand Seiko and Credor models are produced. 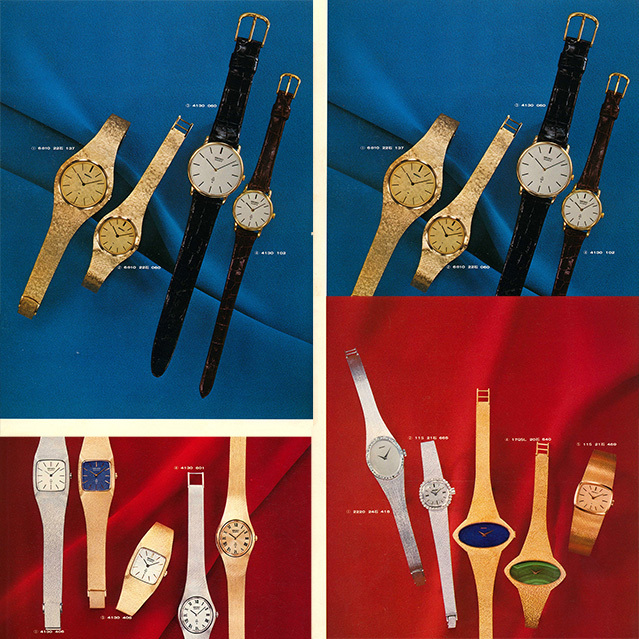 I have added six new titles to the Magazine Articles section for the Japanese Watch Reference Books. While in Japan in July 2016 I had the opportunity to attend a presentation at the WAKO store showcasing the Credor Fugaku watch that was announced at BaselWorld earlier that year. This presentation featured watch designer Nobuhiro Kosugi and master engraver Kiyoshi Terui.